There’s a danger in tooting our own horn. Sometimes doing so could cause people to think we’re arrogant, that we’re looking down our nose at other commercial landscapers and those who put in drip irrigation systems. But it’s not arrogance that causes us to tout some of the benefits you’ll get with our commercial landscaping company. It’s just our desire to ensure that businesses in Plano and the Dallas-Fort Worth area get the most out of their landscaping company. After all, customers judge a company by the look of their lawn, both consciously and unconsciously. We’re interested in helping businesses draw in as many customers as possible. Here are some reasons your business might want to go with Landscape Solutions instead of another landscape maintenance contractor. Just last year Landscape Solutions celebrated our 20th anniversary. We started the business back in 1997 with a dedication to helping small businesses make their lawn look incredible. We don’t look down on any new landscaping company that just got started; everyone has to start somewhere. But while they’re still getting the kinks worked out of their schedule, we’ll be tending to your grass with our fleet of mowers and fixing your smart irrigation system with our lawn sprinkler experts. While we’re located in Plano and have our share of customers here, the bulk of the businesses we serve are throughout the Dallas-Fort Worth area. Some of our customers have shops in all three cities, so we’re constantly on the move ensuring that each location has a well-maintained lawn. We understand that not every business is the same. Some have a single location, others are part of a national franchise. 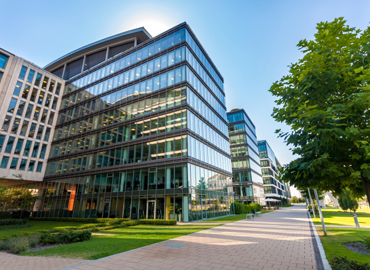 With those differences comes the need for different kinds of commercial landscape maintenance, whether we’re talking about budget or specific needs the property has. We never take a one-size-fits-all approach. We know that you’d rather spend your time working on growing your business, not having to deal with mowing the lawn. We develop long-term partnerships with our clients and become their worry-free contractors. You’ll soon come to learn that our landscaping company will take care of your business’ lawn without you even having to think about it. 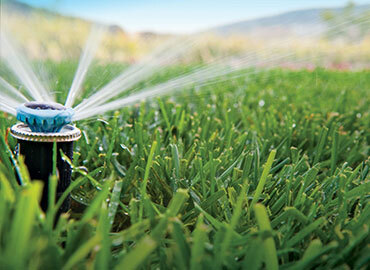 When we perform our commercial landscaping services, we adhere to our C.A.R.E. checklist: Consistency, Accessibility, Reliability. And Expertise. 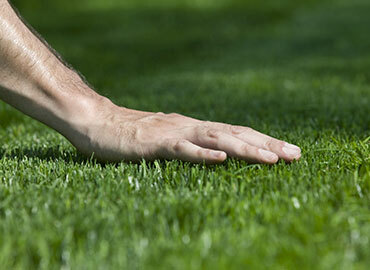 Consistency means that we’ll make your lawn look great every time. Accessibility refers to our dedication to not getting in the way of your customers when we’re there for lawn care service. The R is for Reliability, because you’ll be able to count on us being there when we say we will. Finally, the E is a guarantee that you’ll be able to see the difference between us and other commercial landscapers. We’d love to show you what we can do to make your business look its best. 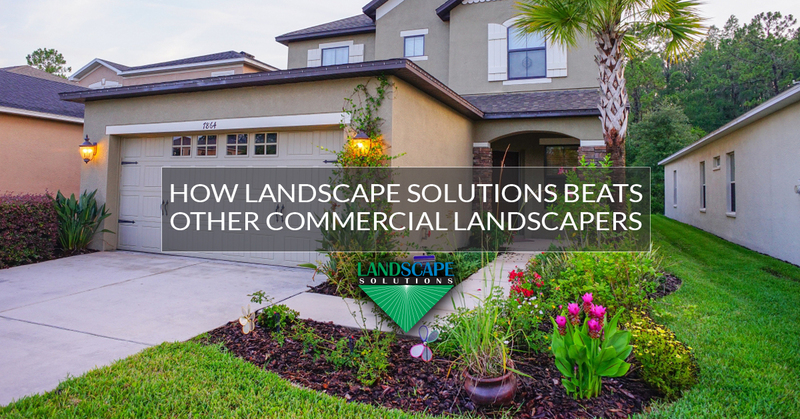 Contact Landscape Solutions today! ©2018 Landscape Solutions - Do not copy. All rights reserved.